These terms were last updated on July 8, 2015.  By placing an order for Goods with Braille Signs Direct you agree to these Terms and Conditions. Please read the following Terms and Conditions carefully before placing your order. The Terms and Conditions contain important information about the ordering, processing, fulfilment and delivery of Goods. “Supplier” means the relevant Entity that has provided the Customer with a quotation, tax invoice or has otherwise contracted with the Customer for the supply of the Goods and or Services. 2.1 Subject to clause 2.4, or unless otherwise agreed in writing, these Conditions will apply exclusively to every contract for the sale of Goods and or the supply of Services by the Supplier to the Customer and cannot be varied or replaced by any other conditions without the prior written consent of the Supplier. 2.2 Any written quotation provided by the Supplier to the Customer concerning the supply of Goods and or Services is valid for 30 days, unless otherwise stated in the quotation, and is an invitation only to the Customer to place an order based upon that quotation. 2.3 The Supplier will not be deemed to have accepted an order or an offer by the Customer unless it has communicated acceptance to the Customer in writing or has delivered the Goods stated in the order. 2.4 The Supplier may vary these Conditions provided it first gives 30 days written notice to the Customer. Any order placed, or Goods or Services supplied at the request of the Customer, after such 30 day period, will be deemed to be the Customer’s acceptance of the varied Conditions. 2.5 The minimum order value is $100.00 or as otherwise notified by the Supplier to the Customer from time to time. 2.6 The Supplier may terminate this agreement on 30 days written notice. Any termination is without prejudice to the rights of the Supplier accrued prior to such termination including the right to be paid or recover the Goods. 2.7 The Customer and Supplier agree to keep confidential the terms of these Conditions, including the price of the Goods, except as required by law. 3.1 Payment for Goods and or Services must be made on or before the twenty first day of the month following the month in which the Goods are delivered and or the Services supplied. 3.2 In the event that there are insufficient funds to meet any cheque drawn by the Customer in favour of the Supplier, an administration fee will be charged on each and every representation and or dishonour. 3.3 The Supplier may withdraw any credit terms or require the provision of security at any time in its absolute discretion and without notice to the Customer and may apply any payment by the Customer in any manner as the Supplier sees fit. (d) by notice in writing to the Customer, terminate any contract with the Customer so far as unperformed by the Supplier. (b) where the Customer is a corporation and, it enters into any scheme of arrangement or any assignment or composition with or for the benefit of any creditors or has a liquidator, provisional liquidator, administrator, receiver or receiver and manager appointed, or any action is taken for, or with the view to, the liquidation (including provisional liquidation), winding up or dissolution without winding up of the Customer. 4.3 In the event of a dispute, the Customer will not be entitled to withhold payment of any undisputed amount due to the Supplier. (d) it waives its right to receive notice of a verification statement in relation to registration of a Security Interest. (b) separately charges all land owned now and in the future by the Customer whether owned alone or jointly as a tenant in common or as a joint tenant, in favour of the Supplier to secure payment and performance of all the Customer’s obligations under these Conditions. 5.3 To assure performance of its obligations under these Conditions, the Customer hereby grants the Supplier an irrevocable power of attorney to do anything the Supplier considers should be done by the Customer pursuant to these Conditions. The Supplier may recover from the Customer the cost of doing anything under this clause 5, including PPSA registration fees. (f) the Supplier may without notice, enter any premises where it suspects the Goods may be and remove them, notwithstanding that they may have been attached to other Goods not the property of the Supplier, and for this purpose the Customer irrevocably licences the Supplier to enter such premises and also indemnifies the Supplier from and against all costs, claims, demands or actions by any party arising from such action, until full payment in cleared funds is received by the Supplier for all Goods supplied by it to the Customer, as well as all other amounts owing to the Supplier by the Customer. 5.5 The Customer may resell the Goods in the ordinary course of its business (but may not otherwise sell or encumber the goods) and if it does so shall receive the proceeds of resale as trustee of the Supplier, to be held on trust for the Supplier. The Supplier shall be entitled to trace the proceeds of resale. 6.2 If prices for Goods and or Services provided by the Supplier do not expressly indicate that the prices include GST then the Customer will pay the Supplier the price for the Goods and or Services plus GST. 7.1 Any period or date for delivery of Goods and or Services stated by the Supplier is intended as an estimate only and is not a contractual commitment. The Supplier may deliver the Customer’s orders in part or in whole. 7.2 All costs of freight insurance and other charges associated with the delivery of the Goods to the agreed delivery address shall be borne by the Customer. 7.3 If the Customer is unable or fails to accept delivery of the Goods, the Customer will be liable for all costs incurred by the Supplier due to storage, detention, double cartage, travel expenses or similar causes. 9.1 Except as specifically set out herein, any term, condition or warranty in respect of the quality, fitness for purpose, condition, description or manufacture of the Goods, whether implied by statute, common law, trade usage, custom or otherwise, is hereby expressly excluded. 9.2 The Supplier is not liable for any indirect or consequential losses or expenses suffered by the Customer or any third party, howsoever caused, including but not limited to loss of turnover, profits, business or goodwill. 9.3 The Supplier will not be liable for any loss, damage or claim suffered by the Customer where the Supplier has failed to meet any delivery date or cancels or suspends the supply of Goods or for any Goods that display a “use-by” date that are sold or distributed by the Customer after that date. 9.4 Nothing in these Conditions is to be interpreted as excluding, restricting or modifying or having the effect of excluding, restricting or modifying the application of any State or Federal legislation applicable to the sale of Goods which cannot be excluded, restricted or modified. If any of these Conditions is inconsistent with State or Federal legislation, such Conditions must be read down only to the extent necessary to comply with such legislation and will otherwise apply to the fullest extent legally possible. 9.5 If the Customer is a “consumer” within the meaning of Schedule 2 of the Competition and Consumer Act 2010 (Cth) and the Goods are not of a kind ordinarily acquired for personal, domestic or household use or consumption, the Supplier’s liability for a breach of a condition, warranty or guarantee (whether express or implied) is limited to the payment or replacement of the Goods or the supply of equivalent Goods (as determined by the Supplier) or in the case of Services, supply the Services again or pay the costs of having the Services supplied again. No purported cancellation or suspension of an order or contract for Goods and or Services by the Customer will be binding on the Supplier after that order has been accepted by the Supplier. 11.1 All Goods are sold on a non-returnable, non-refundable basis and, subject to clause 11.3, may only be returned if the Goods are damaged by the Supplier upon delivery or are incorrectly supplied by the Supplier. 11.2 Any claim by the Customer that the Goods are damaged or incorrectly supplied must be made in writing to the Supplier within 5 business days of receipt of the Goods by the Customer and the Customer must provide a reasonable opportunity to the Supplier to inspect the Goods. The Supplier’s only liability (if any) is limited to the resupply of the Goods. 11.3 The Supplier may, in its sole and absolute discretion, agree to accept a return of some or all of the Goods but all such Goods returned will be subject to a minimum 20% handling fee. Braillesignsdirect are part of one of Australia's leading manufacturers and installers of purpose engineered building products which provide enhanced safety and access to the built environment.